Slip vs Relapse: What is the Difference and What Do You Do Next? Addiction has been found to have a high relapse rate. According to JAMA, between 40 and 60 percent of substance users will relapse within their first year of quitting. As a recovering person, the terms slip and relapse are often used interchangeably. However, there is a difference when looking at a slip vs relapse and what it means for recovery. 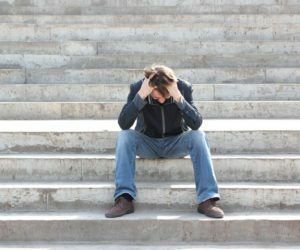 What is a slip in addiction and what is the difference between a slip and relapse? In this article, we will look at the definition of slip in recovery and what to do if it has happened. When looking at a slip vs relapse, there are differences. What is a slip in addiction? A slip is something that happens without prior intention. A slip is unplanned and happens in the spur of the moment. The difference between a slip vs relapse is also that a slip is usually only a single experience. For example, a person may go to a party and then take a drug just because it was there and they were being pressured at that moment, even though they didn’t really want to. When looking at a slip vs relapse, a relapse is usually a planned act where the intention is to throw away the person’s sobriety and consciously make a decision to start substance abuse again. For example, relapse occurs after a person has thought about using again for days and then finally decides to go to their drug dealer to buy some. However, a slip can also lead to a full-blown relapse if help isn’t sought to get back on track with recovery. What Should You Do If You Had a Slip in Recovery? Even though a slip in recovery is not as bad as a relapse where the recovery is abandoned, there are still major risks of further relapse if you do not act immediately. To start, you must acknowledge that you have veered off course with your recovery. Take some time to reflect on what happened and how it happened. This understanding can help you to avoid similar mistakes in the future. At this point, it is important to make a conscious decision to carry on with your sobriety and recovery. Get in touch with your sponsor, counselor, recovery therapist or someone close to you that is supportive of your sobriety in order to get back on track. The sooner you get back on track with your recovery, the less of a risk there is that there will be a full relapse. Does a Slip Mean All Recovery Progress is Lost? If we imagine a situation where a person had a drink at a party unintentionally and then called their counselor the next day and went in for an appointment to talk it out, it is likely that the quick reaction of finding help would assist the person in staying mostly on track with their recovery. The person is clearly as committed as before and that the drink they had was just a mistake. However, if a person were to have a similar slip at a party and then they decided not to reach out for help, then they begin to tread in dangerous territory. The person may have another drink shortly afterwards and then find it harder and harder to stop and get help. If a person does not immediately strengthen their resolve to remain clean and sober, the chances of turning a slip into a relapse is very high.